One of my favorite answers to “What are we having for dinner?” is beans and rice. It can be ready in a half-hour, it doesn’t require me to have remembered to thaw anything, and it can use fresh or frozen and home-canned ingredients, depending on the season and what I have on hand. It’s meatless and can be vegetarian, or vegan, as necessary. Bring to a boil and simmer for approximately 20 minutes, as per the directions on the rice. When the peppers are cooked, remove them from the pan and add some butter (I like Kerrygold Pure Irish Butter) or another other oil of your choice, and saute the onions. When the onions are cooked, add the peppers and about 30 ounces of cooked, canned beans, slightly drained, but not rinsed. Obviously home made is best; I don’t have a pressure canner , and the entire point of this dinner is to be something that can be thrown together without a lot of planning. I usually make do with canned, organic beans from the grocery store! Also add a handful of fresh tomatoes, or a pint of home canned tomatoes, drained. Please do not use store-bought canned tomatoes. The acidity of the tomatoes can cause all sorts of nasties to leach out of the plastic can liner; if you can find them, tomatoes out of a jar would probably be okay. Cook over low heat until everything is warmed through. Once the rice is cooked, give it a good fluff with a fork to stir in the spices and add it to the beans and vegetable mixture. It all fits beautifully into my big, 12-inch cast iron pan . I like to serve it with homemade yogurt on the side. This post was FEATURED by Girl Meets Nourishment on Unprocessed Friday! 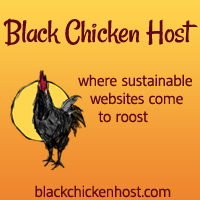 This post has been shared with The Backyard Farming Connection, the MaMade Blog Hop, Hearth & Soul, Tuesdays with a Twist, and the Healthy, Happy, Green & Natural Party Blog Hop. And at the HomeAcre Hop. 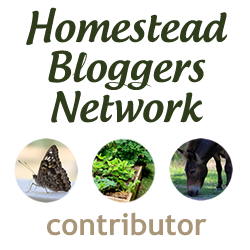 This post has also been shared with Simply Natural Saturdays, Meal Planning Monday, Thank Goodness It’s Monday, Mostly Homemade Mondays, Natural Living Monday, and the Homestead Barn Hop. And Waste Not Want Not Wednesday, Wellness Wednesdays, Real Food Wednesday, Whimsy Wednesday, Fresh Foods Wednesday, Raising Homemakers, Wildcrafting Wednesday, and the Mountain Woman Rendezvous. And the Pennywise Platter, Fight Back Friday, Freedom Fridays, Natural Family Friday, and Real Food Fridays. And Simple Saturdays, Simple Life Sunday, the Sunday Social Blog Hop, Clever Chicks Blog Hop, and Made By You Monday. And Farmgirl Friday, the From the Farm Blog Hop, Old-Fashioned Friday, Unprocessed Fridays, and Simple Meals Friday. And Green Thumb Thursday. Tagged beans and rice, gluten-free, quick dinners, spiced rice. Bookmark the permalink. But I’ll be sure to bring the Beans & Rice next week! Great recipe. Sounds healthy and looks so good. Thanks for sharing. I love the idea of serving homemade yogurt on the side – should go very well with this dish. Visiting from Healthy Happy Green & Natural Blog Hop! I just made a batch of this the other day but I love that you use mexican oregano. Looks delish!! i just love healthy and easy recipes. this looks yummy! now i’m going to have to try it out asap! p.s. love your super awesome blog! Rice and Beans are my favorite comfort food and your recipe looks so good to eat. I am so glad you shared this healthy and delicious recipe on the Healthy, Happy, Green & Natural Blog Hop! I appreciate it! Great recipe and sounds so simple to make. Thanks for sharing on Real Food Friday Blog Hop! This looks so good! Pinned it! Thanks for linking up with Green Thumb Thursday…..hope you’ll join us again.